Do you need frequency counter, tunable DDS sine generator and LC vector analyser in small box (110 x 80 x 40mm)? Then our LCF meter is right for you! This small instrument is capable not only of these things, but it is able for example measuring of harmonic distortion. You can find complete feature list bellow. Small and compact with lot of features. If you want better or comparable instrument, you will probably buy an counter, RC network analyser and distorsion meter (three big boxes instead of small one). On-the fly FFT enables measurement of harmonics in time. Theoretical limit of FFT module is 5MSPS on the fly for single frequency FFT. Wide range of DDS frequencies 1Hz - 1MHz. Can be clocked externally, using for example FE5680A rubidium frequency standart. User settable 2.5V CMOS PLL output allows independent frequency sourcing. Frequency can be set between 1 and 300 MHz. Built-in 1-, 2-, 5-, 10- and 20 kHz low-pass filters can be used for reduction of DDS generator distortion. 12-18V voltage operation so it could be battery operated. Output AC voltage offset adjustment for DC current reduction. Has a RS232/RS485 interface with simple text protocol for easy implementation by 3rd party software. 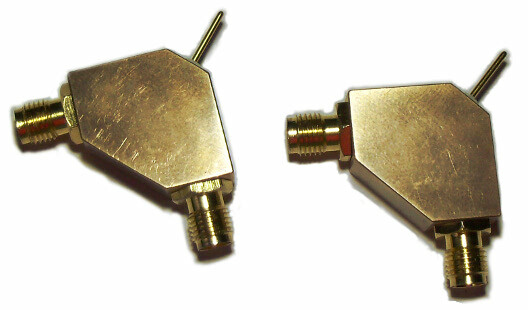 Special spears for measuring low capacitances (with resolution in tenths of fF). 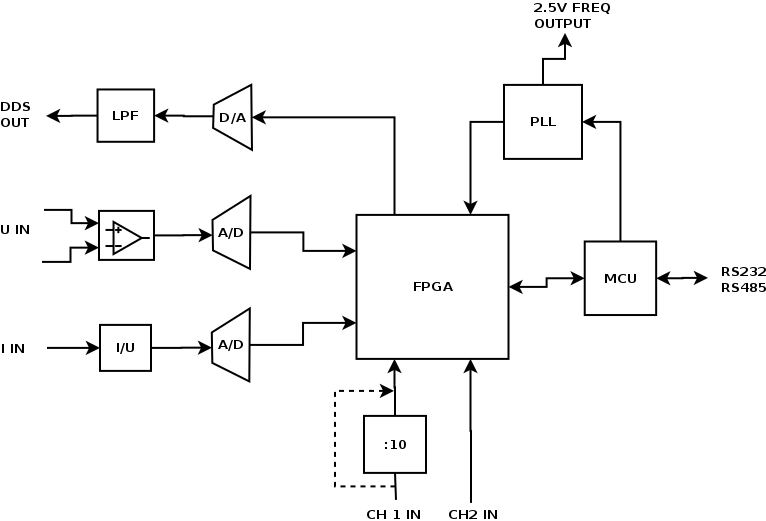 Heart of instrument is a FPGA circuit which is able to calculate FFT on the fly. It is also able directly measure frequency upto 300MHz and periode with resolution of 10ns. For measuring inductance and capacitance it uses fact that phase between current and voltage in serial circuit is shifted. Instrument calculates real and imaginary part of the impedance and from that it calculates inductance and capacitance. Harmonic distortion could be calculated from amplitude of higher harmonics. Instrument can handle measure upto 32 harmonic frequencies simultaneously. It is possible to use it as sinewave frequency source in range betweeen 1 Hz and 1MHz.